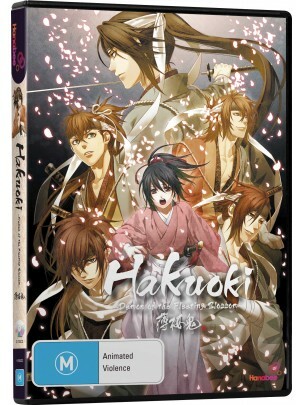 Based on the video game series of the same name, Hakuoki is an animated drama series about a girl named Chizuru Yukimura who is looking for her lost father and ends up getting captured by a clan of rouge samurai called "The Shinsegumi". During her imprisonment she actually starts to like it there and grows fond of them and they grow fond of her back allowing her to take part in all their missions. While on a mission they come across another group of rouge samurai that call themselves "The Devils" and they have some incredible skills of likes they have never seen before. This battle leaves a good chunk of The Shinsegumi men in critical condition. 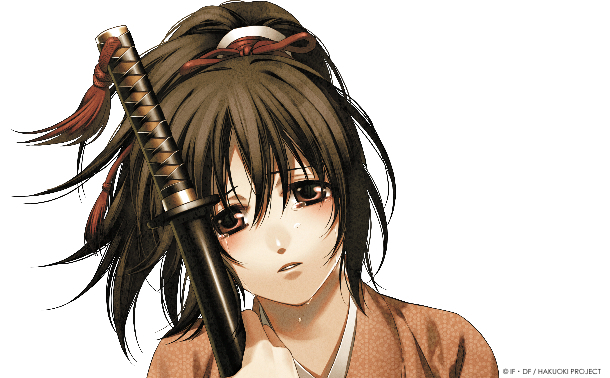 Chizuru steps up to treat their wounds and thus she gets entrusted with being a medic during missions. Shortly after the battle Chizuru finds out a dark secret that only a few people know that could quite possibly put her life in jeopardy. (If you want to read the rest of the review, please click "Read More' and bam! There is the rest of the review). The story was told in a very beautiful and clever way with a strong cast of characters that will draw you in emotionally making you care a lot about them. This show also feels like that I'm not watching an anime based on a video game but rather I'm watching a stage play with each episode masquerading itself as an act. 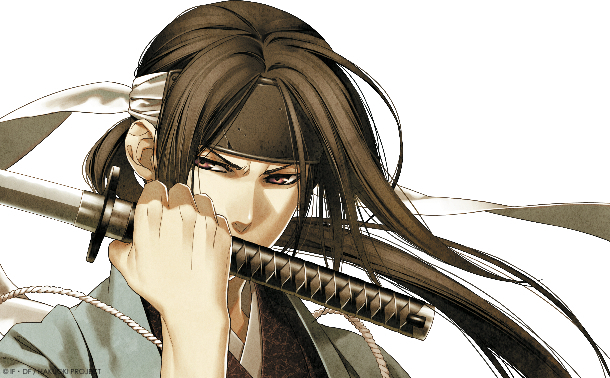 One complaint I have is that every time Chizuru is introduced to a new male character it pauses like that I am expected to pick a love interest to get one of the many endings* like you would in the video games. While it works well in the games I do find it silly for it to be in the show. Another thing about this show is that is has some really nice plot twists (not spoiling what they are) that caught me by surprise which is nice as most plot twist I've seen in general are all dumb and predictable so to see something like this is nice breath of fresh air. The art-work looks great but there are some scenes (mainly the night ones) where it is grainy and it distracts me a little bit but I got used to it (not to be confused with the intentional film grain you see in the flash back scenes). There is a mistake on the back cover saying that this is only viewable in a Japanese dub with English subtitles but there is indeed a English dub in this release. The English dub is very strong with the voice cast matching up to the strength of the story. Soundtrack was very beautiful and relaxing capturing the samurai vibe with no hassles to be said what so ever. Pretty basic special features with the typical text-less opening and closing credits but while typical they were fun to re-visit as they were very beautifully done. Overall for a show based on a video game this one was excellently done and certainly breaks the stereotype of "all show/films based on video games are utter garbage" much like how Clannad also broke this mold (I like to bring up Clannad a lot in my reviews). 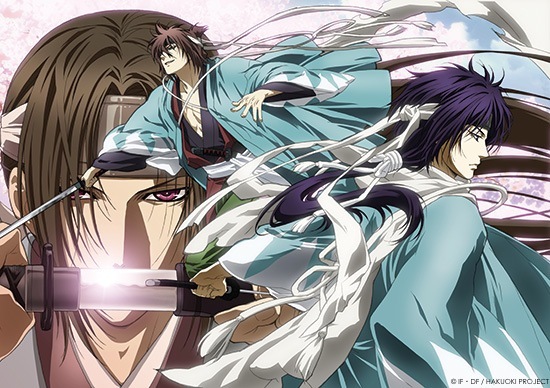 Definitely recommend giving this show a watch unless you want to commit harakiri (the art of stabbing a sword into your stomach as a form of suicide) although that might be a tad bit of a harsh punishment but still, you are really missing out on a really great story if you ignore this show. Keep an eye out for my review of the second and third seasons that are coming out soon and I only hope that they are just as good (or even better) than this one. *Note: This show doesn't have many endings.